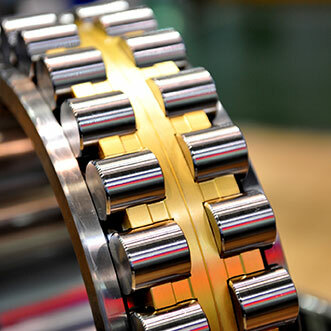 Here at Global Precision Ball & Roller, our team is proud to supply OEMS, large distributors and smaller companies and individuals with a huge selection of ball products that are unparalleled in the industry. We offer a size range from 0.8 mm to 5 inch, in nearly every material and grade required per customer specifications. So, if you need a reliable source for precision and non-precision balls and rollers any of the following materials we are your people! Products are certified under ISO 3290- and American ABMA to meet your required specifications for any project, from the highest precision application to the most basic. We are ISO 9001.2008 certified. Your volume requirements for balls can be manufactured with special tolerances, finishes and geometry requirements. Constant control throughout every stage of production, from the manufactureing side to sales and operations. So many companies, worldwide, are selling the same product, right? As we like to say, “It’s a Small BALL world”. What sets Global Precision Ball & Roller apart from the “BIG BALL GUYS” is the simple fact that as an American-family-owned and operated company, you will be treated as we ourselves like to be treated: with impeccable, personalized customer service, as well as technical skill and industry expertise. Global Precision Ball & Roller’s capabilities are vast: Think David and Goliath; we are definitely a David with Goliath- sized abilities and skills to partner with you, no matter the size of your project or need, and get the job done. 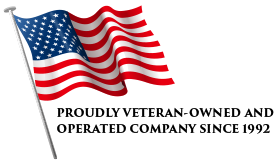 Most of our customers have been with us since inception. In today’s world, that speaks volumes. And if by chance we cannot help you, we will do our best to refer you to someone who can. That’s our promise. Our team is so proud of our record, we’ve shared some of our customer’s own testimonies. Let us help you find the best product, at the best price. Our knowledgeable and experienced sales representatives are available to immediately assist you with pricing and availability, with same day shipping on many in stock items, when requests are received by 2:30pm. What good is the BEST product without the BEST quality of care? You’re in good hands with the Global Precision Ball & Roller Family. We want to ensure you receive the utmost in quality products, with impeccable customer service that you will not receive anywhere else. This philosophy is what sets us apart from our competitors. Global Precision Ball & Roller offers cylindrical rollers which are commonly used in bearing applications where the majority of the load is going in the radial direction. Such rollers are manufactured from 52100 Chrome steel, as well as S2 Rockbit Tool Steel. We proudly offer these rollers in a variety of sizes, ranging from diameters of 7.00 mm to 50.00 mm, and length ranges from 10.00 mm to 50.00 mm in volume capacity requirements. Please contact us today with your drawing and your volume requirements to get the project rolling!